SEPTEMBER 15-18, 2016 -- THE PERFECT TIME OF YEAR TO VISIT NIAGARA FALLS! A popular spot for getting wowed or soaked amid natural splendor, Niagara Falls attracts curious spectators from around the world. The main attraction - more than six million feet of water cascading over a rocky crest - sits partially in the United States and partially in Canada. Venues like the Aquarium of Niagara offer fun and engaging alternatives, after or in between visits to the Falls. 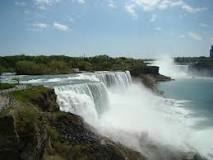 Outdoor recreation such as hiking, biking, and fishing are available at the Niagara Falls State Park. The storied history of attempts to conquer the majestic Falls is captured at the Daredevil Museum; the Schoellkopf Museum concentrates on the history and geology. RENTAL CARS through FBO: Hertz or Enterprise. For pickup at the airport, you must be a Hertz car member. THE HOTEL Sheraton at the Falls Hotel, Niagara Falls, NY, is ideally situated in the heart of downtown—adjacent to the Seneca Niagara Resort where you have the opportunity to see great entertainment in the lounges and at their theater. 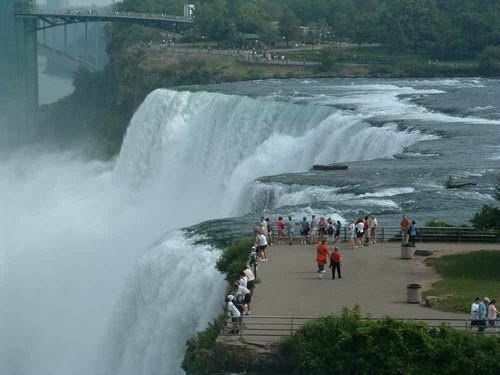 A short walk from the Sheraton takes you to the falls, as well as the Canadian border. Toronto is a 70-minute drive. In addition to its restaurants, Sheraton offers a Starbucks® coffee shop, room service, heated indoor pool, 24-hour fitness room, and 24-hour business center. All guest rooms, common areas, and meeting spaces are equipped with complimentary High Speed Internet Access. CUT-OFF DATE: August 25, 2016 or when FPA block is filled. PARKING: $10 per night per car with unlimited in and out privileges.